shop Porta Memory Smart Phones and Tablets 32 GB | bargainbrute. Porta Memory for any SmartPhone and Tablets. 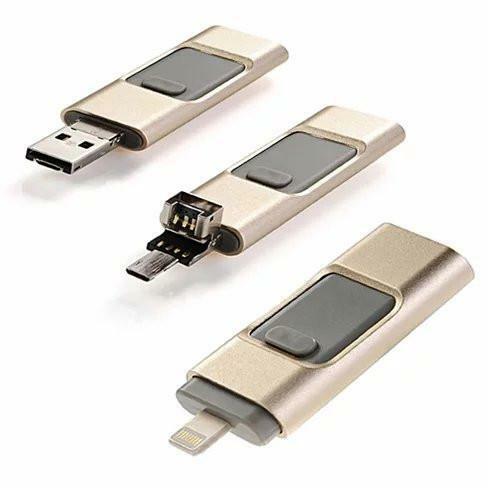 The Porta Memory Stick has a built in sliding connector for Lightning 8pin Apple adapter & microUSB adapter and USB 2.0 standard adapter to fit in Desktops. You can now transfer your files or use it as a backup your data from your Smart Phones and Tablet. There is no other fees or subscription. You can copy files from your desktop to your Smart Phone or Tablet or from your Phone to your Desktop. 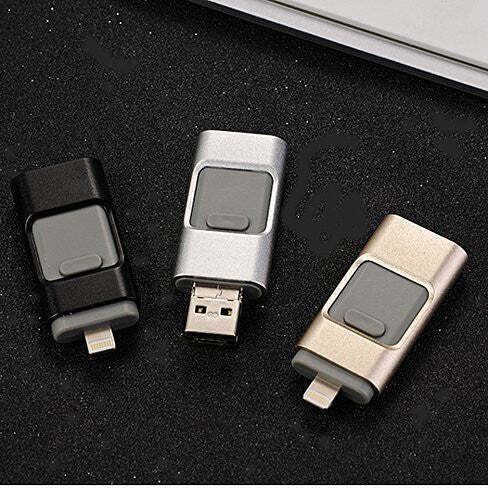 The built-in connector for Apple and Android devices makes it easy to use and comes in very handy. 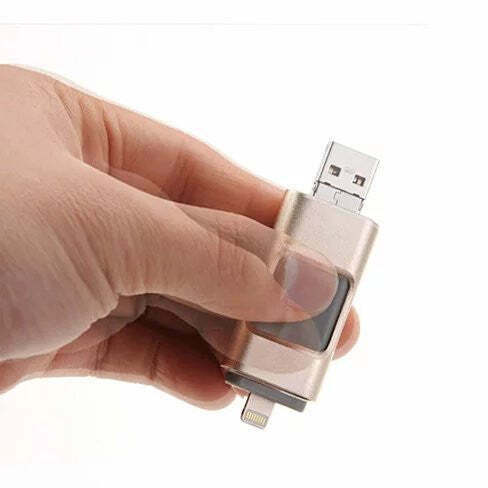 Comes in Memory Size : 32 GB Will work with iPhone 5,6 and iPad 5 and Air or Mini and Samsung all models and all other Android devices that use microUSB connector. Compatible with Windows 7 and above and Mac Operating Systems and android Operating System.